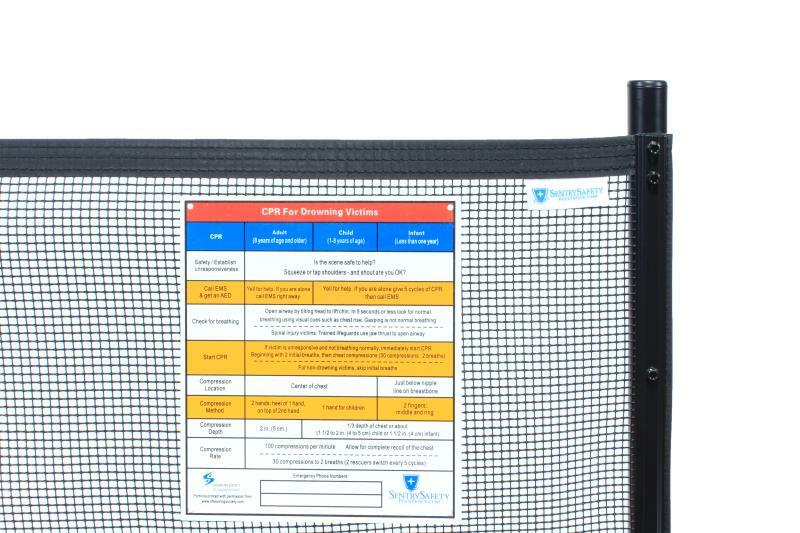 This CPR sign easily attaches to pool fences and is simple to read and follow in case the worst happens. The sign describes the necessary steps to take when a person or child is in need of CPR. Safety has always been our number one priority and regardless of what pool fence you may have, make sure to be ready for the worst to happen.